The error code “6-0x00001000” appears on Rainbow Six Siege when trying to enter a multiplayer game using the matchmaking mechanism. 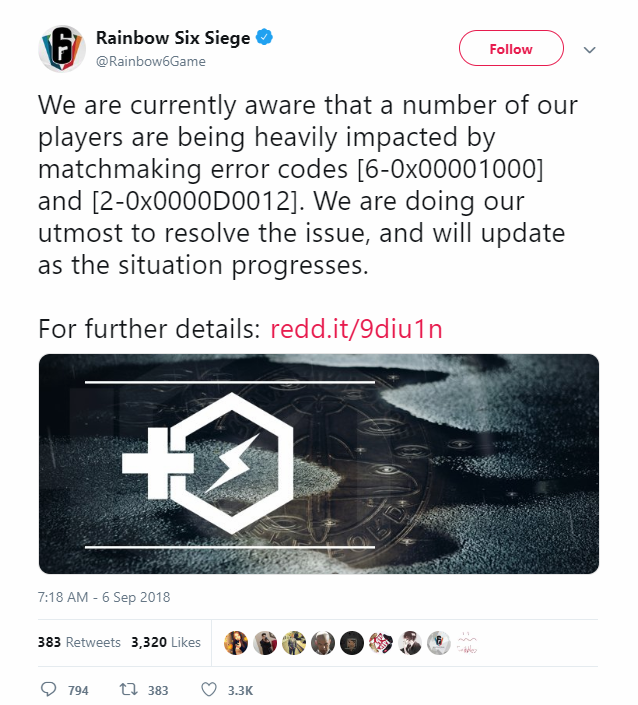 According to the official documentation from Rainbow Six Siege, this error message primarily means that the connection to the matchmaking servers timed out. Users started experiencing this error code at a large scale from around August 2018. Since then, players experience this error either indefinitely or every now and then. This error message is not limited to consoles only; it also occurs on Windows application of the game. 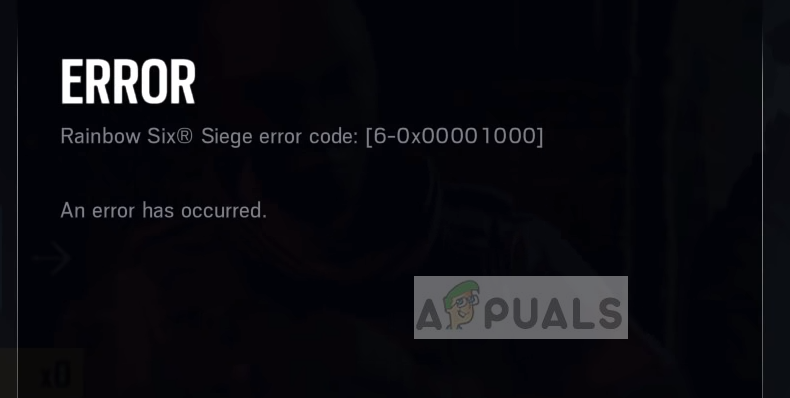 What causes Rainbow Six Siege Error Code 6-0x00001000? Xbox Account Issue: There seems to be a bug in Xbox consoles. Some user profiles are able to connect to the matchmaking servers while some cannot. Bad internet connection: This is the most common factor for why you see this error while playing. If your internet connection is unstable, the servers will not be able to connect with your game. Console in an error state: There are cases where your internet connection is working perfectly but your console refuses to connect. In this case, a simple power cycle usually fixes the issue. Server maintenance: Every game turns off their servers for routine maintenance. If the server is down, you will not be able to connect to matchmaking services. You have to wait this one out. 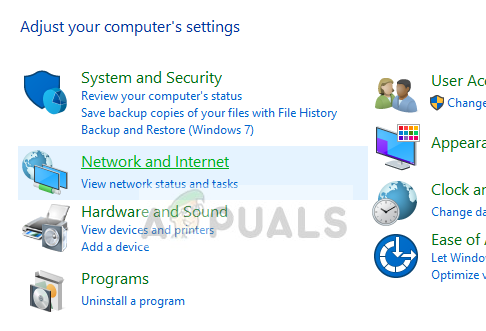 DNS Server: Matching making process also makes use of your computer’s DNS address. If the DNS server is not accessible, you will not be able to use the multiplayer mode. 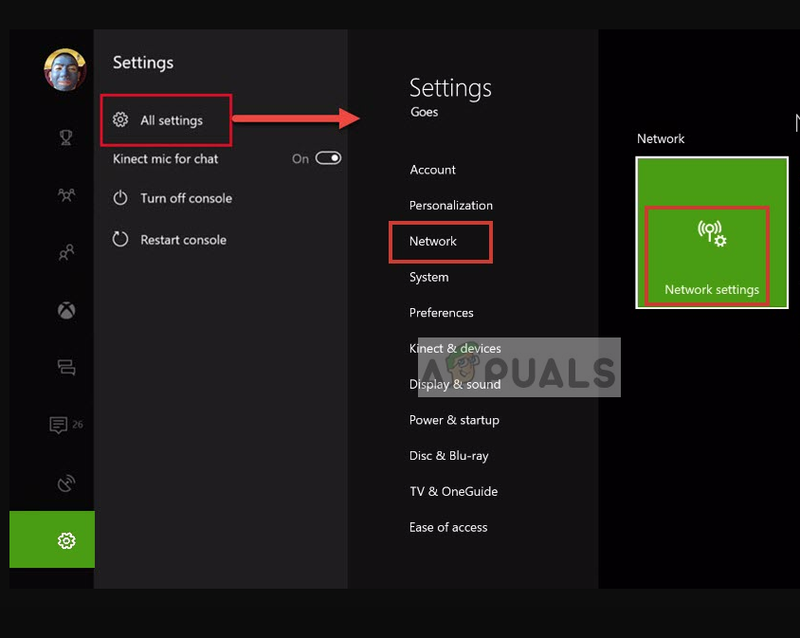 NAT Settings: The NAT settings on your Xbox or PlayStation might be set incorrectly. If the internet connection on your computer or console is unstable or limited, the device will not be able to access the matchmaking servers and pop the error message on your screen. 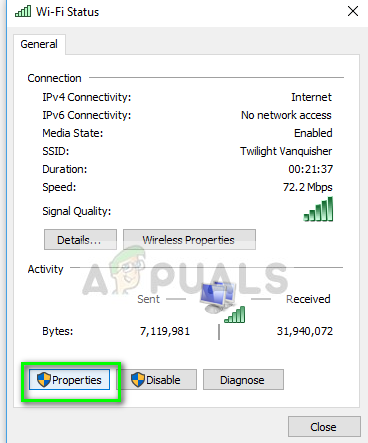 Now there are several ways through which you can check your internet; you can use another device, connect it to the same network and check if you have access. If you do have access on your other device but not your console/computer, we can try power cycling your router. There are several cases where the router goes into an error state. Power cycling refreshes all the configurations and allows correct transmission of the network again. Turn off your router and console/computer. Take out the power cable of each device. Now press and hold the power button of each device for around 4 seconds so all the energy is drained. Now, wait 2-3 minutes before plugging everything back in. Now turn all the devices on and check if the error message is resolved. Note: If you are using any proxy server, make sure that you remove it and try again. Proxy servers sometimes have settings which block several services/websites from running. This happens especially in organizations and public places such as hospitals etc. Like mentioned before, Rainbow Six Siege acknowledged the issue of devices not being able to connect and commented that a fix is underway. That fix got released as an update to the game and for the majority of the users, it fixed the issue. Here we will navigate to the applications page in your Xbox and update the game to the latest build available. You can use the PC method to update the game on your PC. 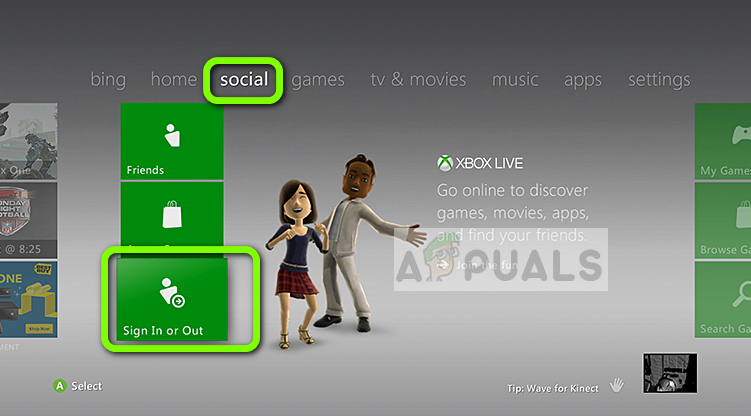 Navigate to the Applications page on your Xbox and select the Update button present at the left navigation bar. Now locate Rainbow Siege Six and make sure that you update the application fully to the latest build. Restart your computer and check if the error message is resolved. 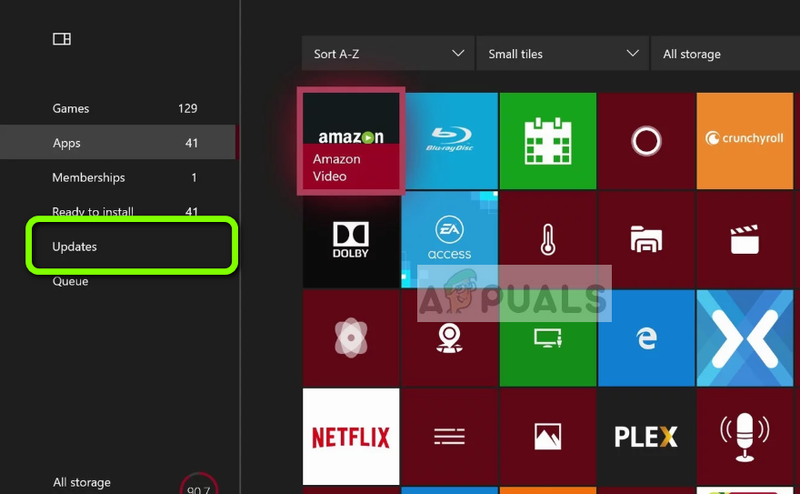 Xbox user profiles are known to get induced with several bugs and errors. We came across some cases where some profiles were greeted with the Error Code 6-0x00001000 while some were able to successfully use the matchmaking mechanism for multiplayer. Here we will try to change the user profile on your Xbox console and see if this fixes the issue. Navigate to your Xbox home page. Now select the heading Social from the top of the page. Here you will see a button named Sign In or Out. Click it and sign out of your profile. After you are signed out, you can either create a new profile or sign in using an existing profile. Now launch Rainbow Six Siege and see if the error got resolved and the matchmaking is successful. This may seem bizarre but we came across several cases where users were able to use matchmaking and connect to multiplayer games using a VPN. A VPN (Virtual Private Network) makes use of tunnels and disguises your location. VPNs are used to access content which might not be available to you through normal network channels. You can ‘try’ this workaround but there is no strict guarantee that this will work. You can check our article on How to Watch Netflix with VPN and follow the steps on how to install CyberGhost VPN. The steps are the same except that you don’t have to choose the streaming category. After installing the VPN on your computer, try connecting to the matchmaking servers again and check if the error message is resolved. DNS (Domain Name Systems) are used by applications and games alike to connect to their servers or services. If the DNS on your computer is not working properly, you will not be able to connect with Rainbow Six Siege servers. ISP’s usually allocate a default DNS server but it doesn’t work in some instances. Here in this solution we will set Google’s DNS and see if this fixes the issue. Press Windows + R, type “control panel” in the dialogue box and press Enter. Once in the control panel, click on the sub-heading “Network and Internet”. Select “Network and Sharing Center” from the next window you are navigated to. Here you will find the network to which you are connected to. Click on the network present in form of “Connections” as shown in the screenshot below. Now click on “Properties” present at the near bottom of the small window which pops up. 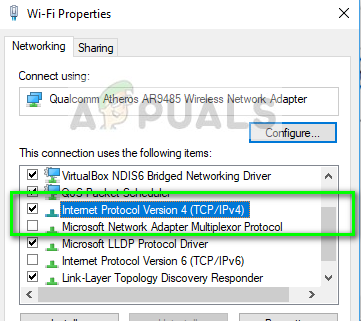 Double-click on “Internet Protocol Version 4 (TCP/IPv4)” so we can change the DNS server. Press OK to save changes and exit. Restart your computer and check if you can connect properly to Rainbow Six Siege matchmaking servers. Xbox and PlayStation consoles use NAT (Network Address Translation) in order to communicate on the internet. There are several NAT types which vary according the level of security. If you have a strict NAT type in your console, the game might not be able to connect to its servers. 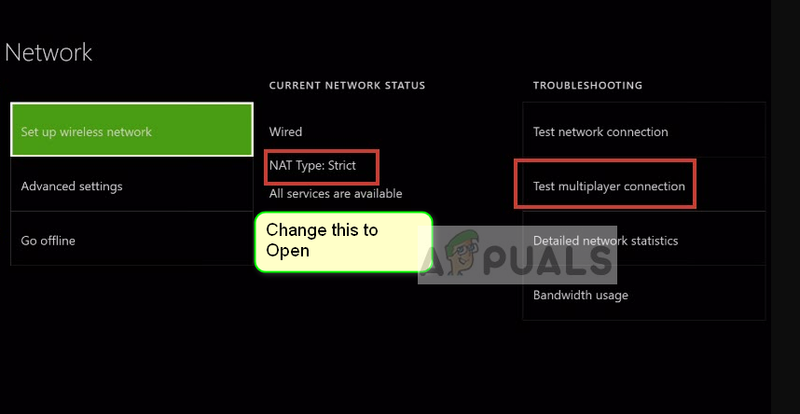 In this solution, we will navigate to your network settings and change the NAT type manually. Navigate to your Settings and then select Network. Select Network Settings when the option becomes visible. Now edit your network settings. Make sure that you change the NAT Type to Open. Save your changes and exit. Restart your computer and try matchmaking again. Every game takes it server offline for routine maintenance. This maintenance can go on from several hours to minutes. There is no fixed time. Hence if you were able to use the matchmaking mechanism recently but aren’t able to now, it probably means that the servers are down for maintenance. You have no option but to wait it out. 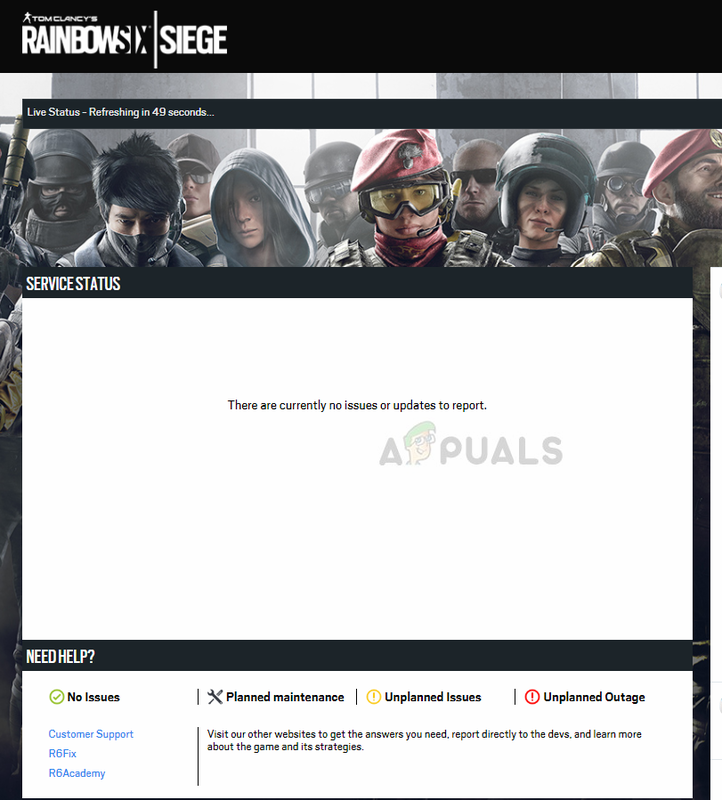 You can navigate to Tom Clancy’s Rainbow Six Siege – Service Status website and check the server status. As you can see in the image above, there are icons for the server status. If there is anything wrong with the server, wait it out until it is fixed.